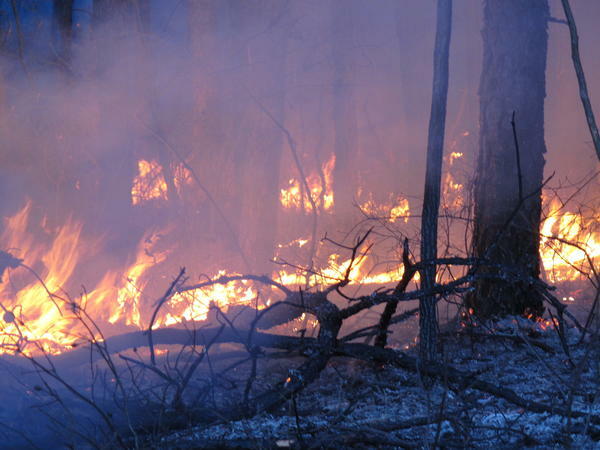 Winter is peak time for prescribed burns, deliberately set fires designed to eliminate leaves and other flammable material that could fuel a larger forest fire. But the partial government shutdown is interfering with this and other preparations for the fire season. In Tennessee, a wildland fire training academy was canceled. In California and the southeast U.S., forest cleanup and fuel mitigation projects, intended to reduce the risk of catastrophic wildfire, are being postponed. In Montana, a workshop designed to help forest managers better prepare communities for fire risk has been scuttled. With few federal workers left on the job, much of that important planning, training and contracting, he said, is being cancelled or postponed. Phelps and other state land offices said that this shouldn't immediately affect their ability to respond to wildfire. State and local firefighting agencies put out the majority of the nation's wildfires and can find other ways to get critical training.